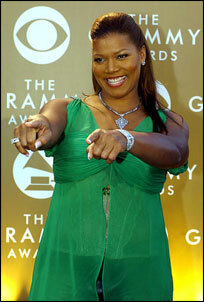 DENVER (AP) — Queen Latifah is getting a little jazzier. Five albums and 15 years after her hard-hitting hip-hop debut "All Hail the Queen," Queen Latifah is poised to release the jazz-obsessed "The Dana Owens Album" in which she sings standards. "This is definitely not a one-shot deal," the singer, whose real name is Dana Owens, told The Denver Post in Sunday's editions. "Hopefully, with the success of it, I'll be in it till I'm dead. I've always looked at singing as something I can do forever. I don't know if I can rap forever. I don't know that I can stay as hot as the hottest girl in the game." It was her experience in the 1998 feature film "Living Out Loud," co-starring alongside Holly Hunter and Danny DeVito, that led to her new album. She played nightclub singer Liz Bailey and sang a couple of jazz standards. "The Dana Owens Album" is released this week. The new album, where she tackles songs by Al Green and The Mamas & the Papas, is something of a departure for an artist whose last record was "Order in the Court," one of 1998's better efforts at combining R&B and hip-hop. But she said she has a fully formed and finished hip-hop album in her back pocket just waiting for the right label. "I figured I'd drop this album first," she said. Still, her long-term plans are obvious. "Don't be surprised if I'm 65 and playing Vegas."